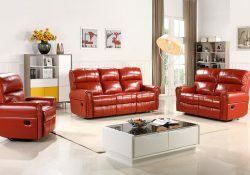 Today’s leather recliner chairs have more features than ever before to make them both stylish and comfortable. Fancy Homes is happy to offer you the range of leather recliner chairs in Melbourne and Sydney that will instantly become your favourite place to sit! 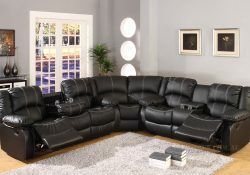 Our leather recliners come in a variety of configurations to meet your specific needs. 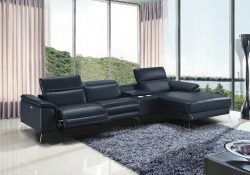 For example, the Cinemax Leather Home Theatre Sectional combines three seats into one. It provides the ultimate comfort for your home theatre. 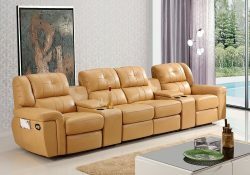 The Toronto Italian Leather Recliner Lounge Set includes one three-seater, one two-seater, and one one-seater to provide luxurious comfort to your entire family or your guests. Create the ideal sitting space for your room and your personal needs. 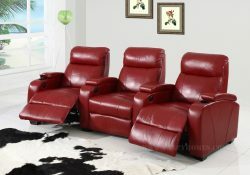 The Hugo Leather Recliner Lounge includes four seats with drink holders in a middle console for comfort and convenience. 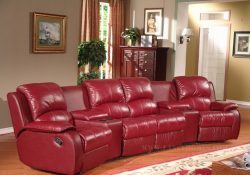 The Morgan Leather Recliner Chaise Lounge adds the comfort of a chaise for even more seating options. 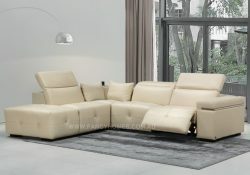 Fancy Homes gives you these styles in leather recliners along with many more options. Choose the colour and features you want to keep or add. We know that customising is a lot more than choosing from one or two colours. It’s all about getting the style and dimensions that give your furniture the perfect fit! 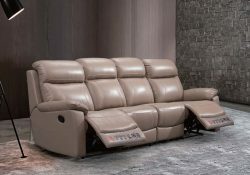 No other furniture or retail store offers this kind of flexibility or value on leather recliner chairs in Melbourne and Sydney. Browse our range and find the perfect style for your home. You always pay less and get more for your money when you shop at Fancy Homes.